Designs by Lisa Somerville: Get the Gifts you Really Want! Get the Gifts you Really Want! This holiday season, make Stampin' Up! 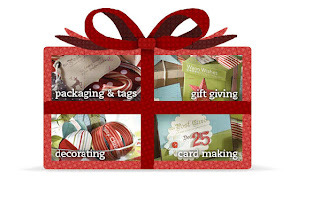 your one-stop shop for fabulous decorations, cards, packaging, and gift ideas. We've got everything you need to make your holidays merry and bright! Simply print out this wish list and give it to your loved ones, have them call or email me by December 6th with your order to guarantee delivery in time for Christmas. Payment Options: For your convenience, I accept Visa, MasterCard, Discover, personal checks and of course, cash.